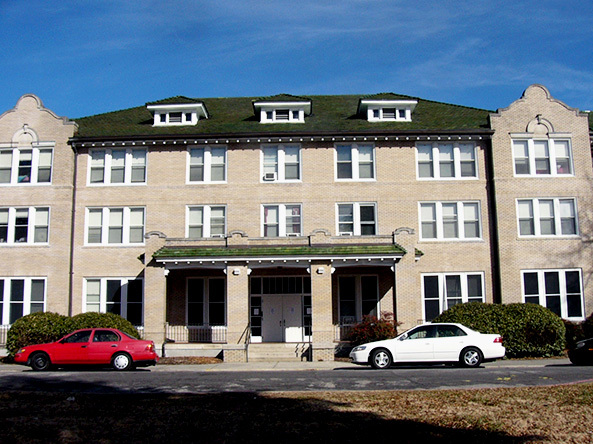 Duke University set up this reroofing project such that it would be managed by a general contractor, Romeo Guest, who was currently remodeling the interior of an adjacent residence hall. 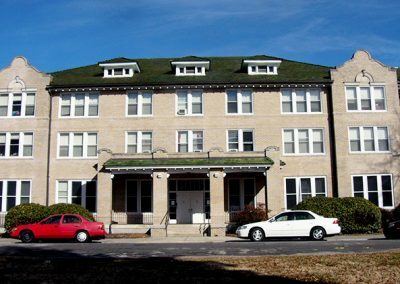 Duke University asked Romeo Guest to engage the services of Raymond Engineering to perform the design, bidding and construction administration services for the reroofing of Southgate Residence Hall. In addition to the tile reroofing, soffit replacement was required, as well as the repair of some rotted ends of the rafters. 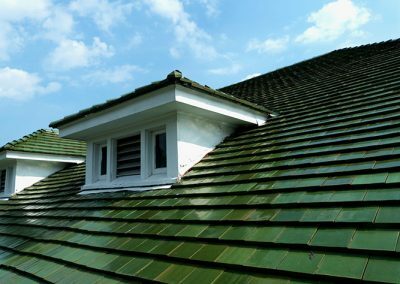 Romeo Guest would perform the soffit replacement and rafter repair, and a reroofing contractor would perform the tile reroofing. 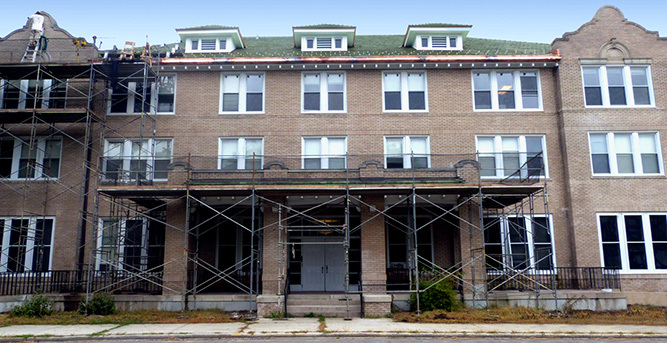 Reroofing and soffit restoration of this residence hall was subject to time limitations. Work could not start until mid-May when students moved out and had to be complete by mid-August when students returned. In order to meet this schedule Duke University ordered and purchased the tiles with a delivery date to meet the start of construction date (The new glazed ceramic tile was of a special Duke Green color to match other tile roofs on campus.). Design addressed the details needed for the complex roof with many hips, ridges, valleys, roof-to-wall conditions and conditions where valleys would intersect requiring soldered flat seam copper roofing construction. 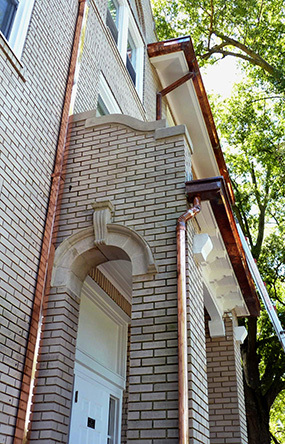 Design also addressed replacement of the siding of three dormers, cleaning stone parapet caps and resealing joints, and the installation of new gutters and downspouts.